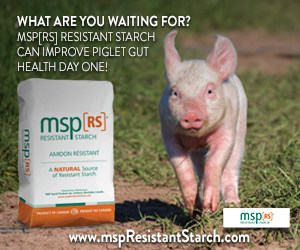 The Swine Health Information Center in partnership with the Pipestone Applied Research Group, South Dakota State University and Kansas State University has been exploring the prospects of using feed additives to reduce the risk of transmitting viruses through feed. Swine Health Information Centre Executive Director Dr. Paul Sundberg says 10 different products have been looked at that might be added to feed to mitigate potential risks from viral contamination. Of course we are interested in any of the virus contaminations but we’re especially interested in for example African Swine Fever, Foot and Mouth Disease, Classical Swine Fever and Pseudorabies, those things that we don’t have in the United States that we may be at risk of importation. Those are of high interest and we’re using Senacca Valley Virus as the surrogate for all of those because our research has shown Senacca Valley has the propensity to be able to survive longer in feed products than any of those other foreign animal disease viruses. If we look at Senacca Valley then we’ve caught all of the others that won’t survive quite as long. That’s the virus that we’re testing with the feed products. Of high interest and those that look like they are most effective include medium, chain fatty acids, formaldehyde products but there are a list of others that we’re also looking at. 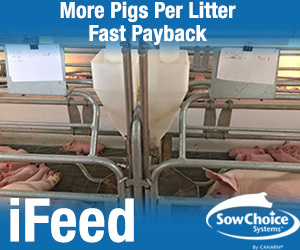 I can say that our preliminary results show there most probably won’t be any product that will absolutely sterilize feed components but we’re looking at products that will be able to decrease the risk of transmission of viruses in the feed. Dr. Sundberg says that research is getting close to the end and a report is expected shortly.